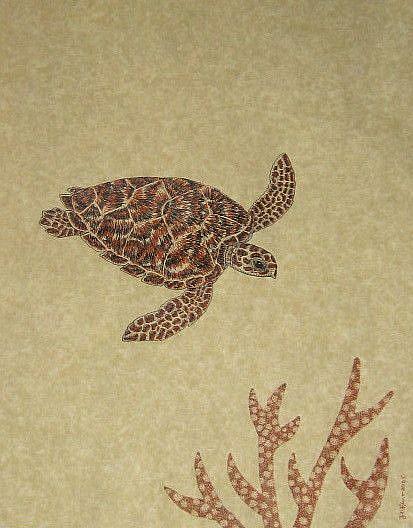 This is an endangered hawksbill turtle, the species that defined "tortoiseshell", which was used in decorative items to the point of near extinction. This is a Pacific variant of the species, which has a heart-shaped shell.That's deadman's finger coral at the bottom. This piece was part of 2010 Cold-Blooded Creations show in Daytona Beach, Florida.